﻿ Next Day: Survival - Factions, How Do They Work? Home » Guides » Next Day: Survival - Factions, How Do They Work? 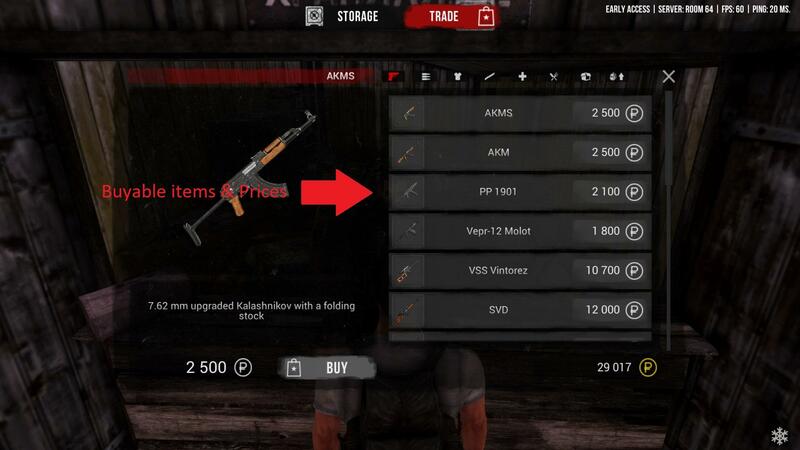 In this guide I will explain to you how factions in this game work, how to join one and the differences between them. Gameplay Tips for New Players. The Ultimate Bunker Guide (Enemy and Loot Maps). The neutral faction doesn't pick a side. They are not friendly, or enemy to the Looters, or Civilians. 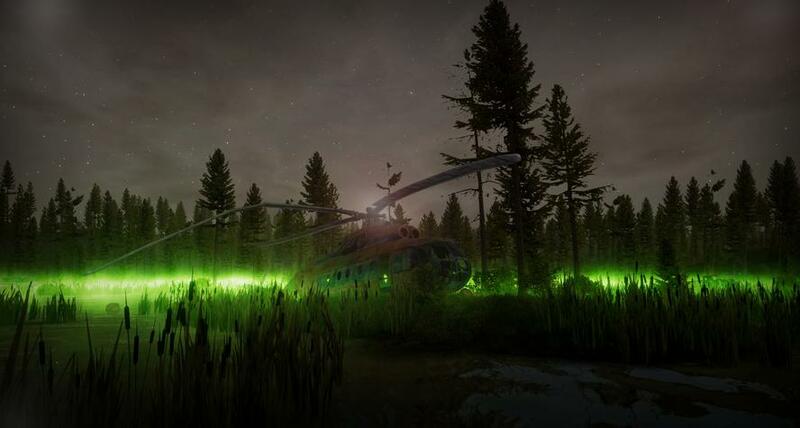 When the player starts the game, they will load in at the neutral camp. Everyone is welcome in that camp. Whether you are a Traitor, Civilian, Looter or Neutral. Once the player is loaded in, and ready to go they should speak to Stas, he will give you a set of missions. Once you completed these tutorial quests, he will give you a choice. Join the Looters, or the Civilians. Once you decide which faction you want to join, you will have a new settlement to spawn at. Everytime you die, you will spawn at the settlement of your own faction. You will have a new storage at that settlement, which is not linked to other settlements. It's like a local storage. (You won't lose the items stored in other settlements, even if you change factions and become enemies with the faction where you stored most of your loot, you just can't access it as you will be shot). There is a very simple reputation system in the game. A beginning player starts with +0 Rep. 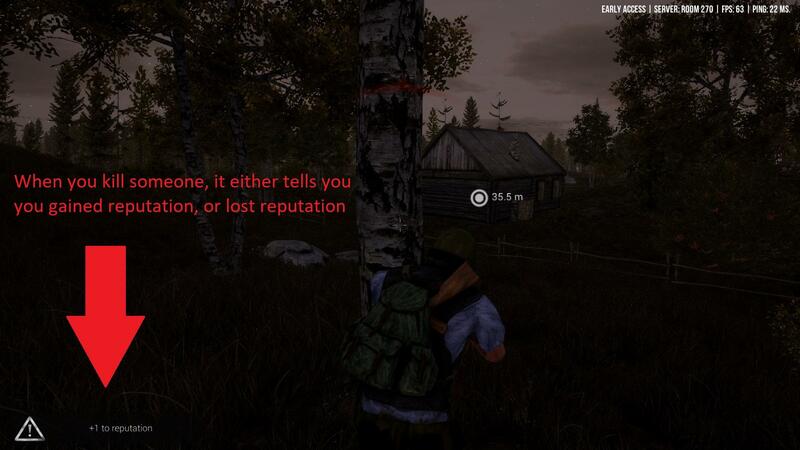 If the player decides to skip the neutral story line, and decides to kill someone, they will either lose rep, or gain rep.
All looters have -1 or more reputation (example: A Looter player with -14 Rep). All civilians have +1 or more reputation (example: A Civilian player with +8 Rep). Kill a Civilian, and you will lose reputation, regardless of your faction. Kill a Looter, and you will gain reputation, regardless of your faction. Kill a Neutral, and you will lose reputation, regardless of your faction. Kill a Traitor, and you will gain reputation, regardless of your faction. If you decide to betray one of your faction members, and manage to kill them, you will become a Traitor. Nobody likes Traitors. Civilians and Looters will most likely shoot them on sight. They are still welcome in the Neutral camp, however. They can enter it without being shot by the NPCs guarding it. Traitors will still keep their reputation status. 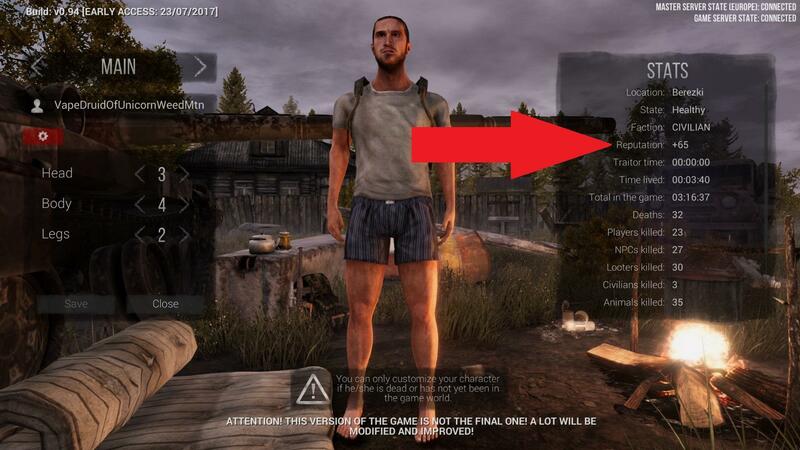 It does not reset, for example: A Civilian wants to become a Looter, he betrays a teammate, and he has +4 Rep. 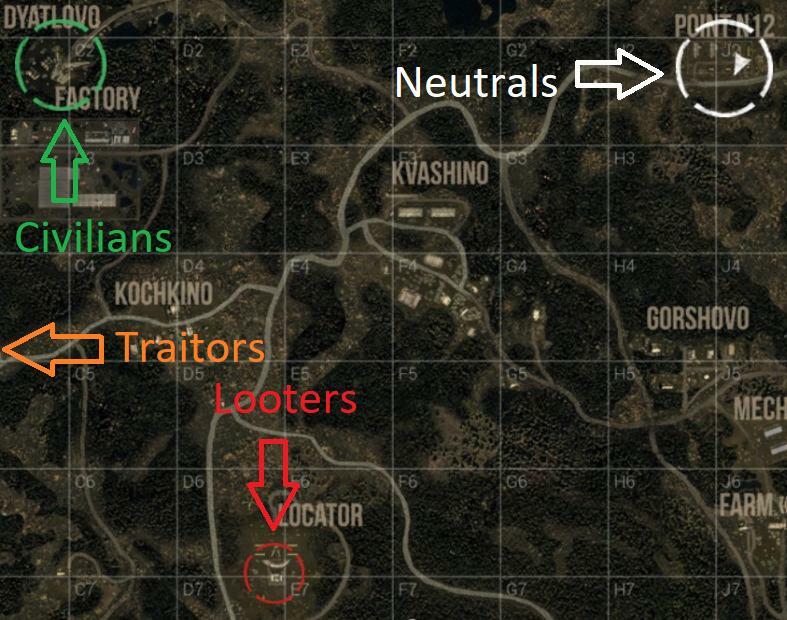 When he kills the teammate, his reputation will go down to +3 Rep. To become a Looter, the Traitor will have to kill atleast 4 more Neutrals or Civilians to go from +3 Rep to -1 Rep. After 90 minutes their Traitor status will go away, and they will join the faction according to their current Reputation status. If the Civilian with +4 Rep fails to kill 5 Neutrals or Civilians, and is at +2 Rep for example after the 90 minutes of being a Traitor, the person will return to Civilian. Traitors do not have a camp or settlement. They spawn in the wild. The game has 4 factions, Looters, Civilians, Neutrals and the Military. (Traitors aren't really a faction, more like a phase) Players can join the first three factions listed above. The Military however, is a faction controlled completely by NPCs. They have military grade gear, and are very hard to defeat. They will shoot you on sight, regardless of your faction, and you will definitely want to have a buddy, or you're gonna have a hard time trying to clear a camp solo. There are several Military camps, and bunkers on the map. I'm still working on putting a map together, so keep an eye on this section for a map with all the camp locations. 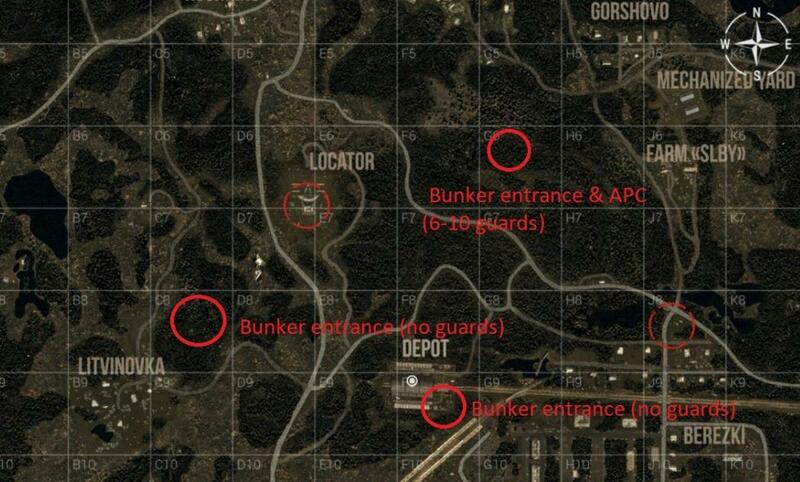 So far I have found 4 military camps/bunkers. Keep in mind the bunkers also have an unknown amount of soldiers in them, be prepared. Temporary map with bunker entrances, I used circles instead of dots, as the player arrow seems to be inaccurately displayed on the map. Every settlement has it's own storage and shop. The storages are not linked to other settlements. 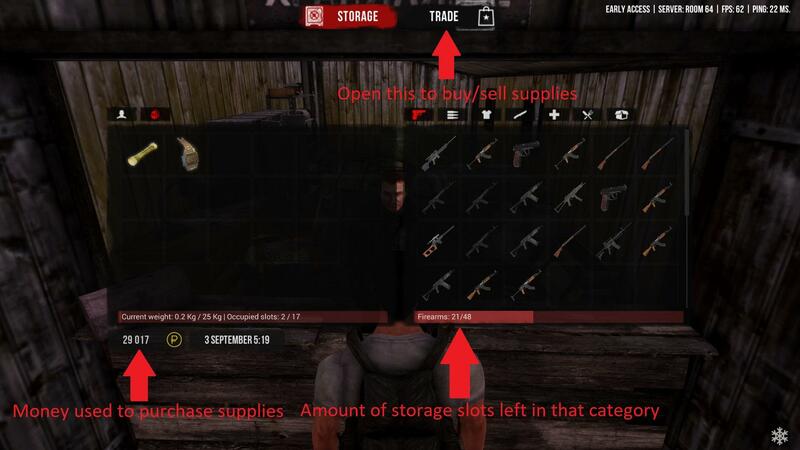 So think twice before you decide to betray your Looter teammate, and lose access to all your guns stashed in the Looter settlement. 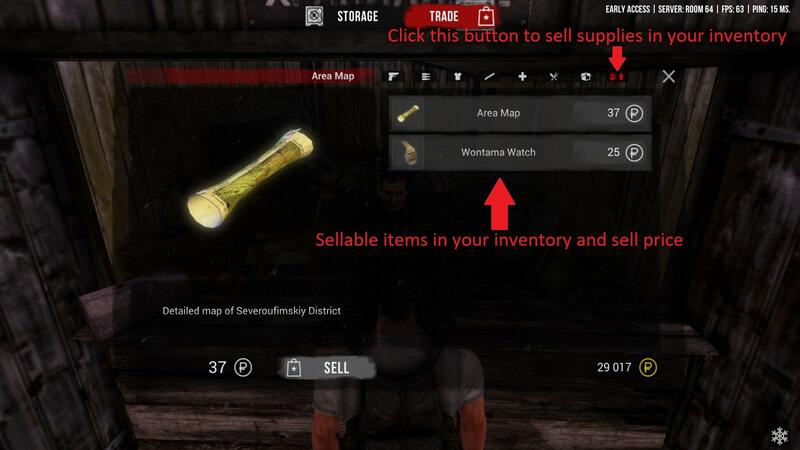 Once you have pressed the TRADE button in the top you can either buy supplies, or sell supplies on you.